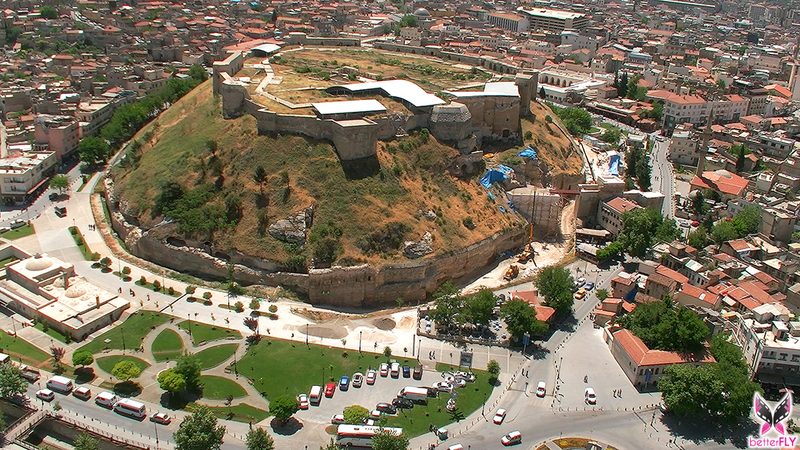 Gaziantep is an important commercial and cultural center that has the remains of late Hitit period. The 32 towers of the city fortress were built during the Justinianus period and then restorated during Seljuks. There are many archaeological areas dating back to very old times at Dülük Forest, the west of Antep. At the Hitit sculpture schools once found in Yesemek, some 200 works of art reflecting the beauties of that period are exhibited. Kargamis, one of the former Hittite capitals located at the shore of Euphrates, near the Syrian border, is another important archaeological place. Everything found here , including the big relieves, were moved to Anatolian Civilizations Museum in Ankara. 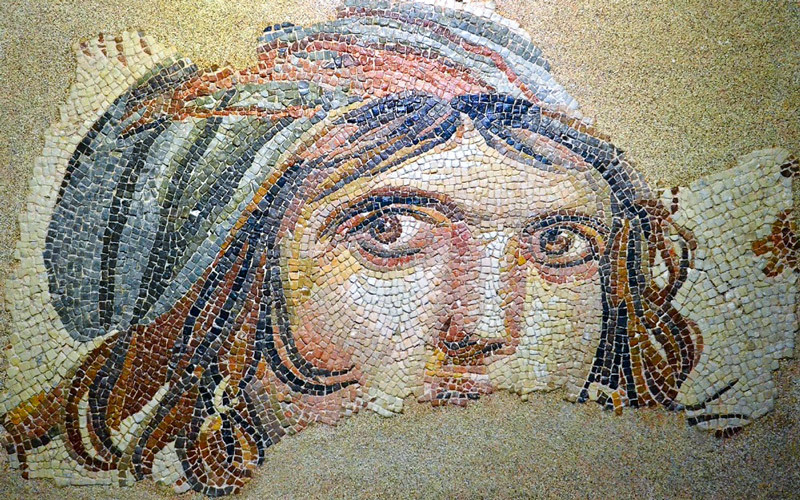 The ruins of Zeugma, Belkıs/Zeugma ancient city is located at Belkıs Village in Nizip district of Gaziantep, at the shore of Euphrates river. The Syrian King Selevkos Nikator, one of the former generals of Alexander the Great, founded a city here in 300 BC by combining his name and Euphrates River; Selevkos Euphrates. Then the city is taken by the Romans in the 1st century AD and its name changes to the World known Zeugma, meaning bridge or passage. Then the city becomes one of the biggest cities of the world with a population of 80.000. Zeugma is one of the Roman cities that had its own city coins. On one side of the coin is the Thyke Temple while on the other is the Roman Eagle symbolizing strength. 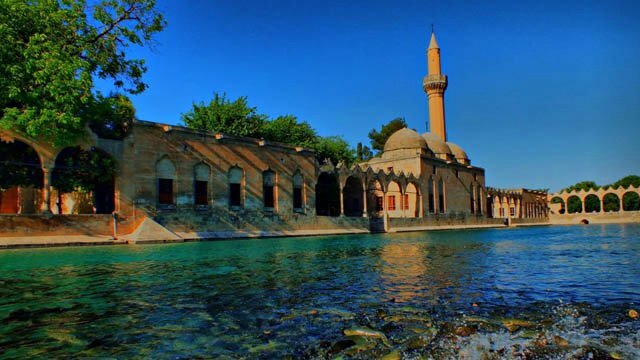 Urfa was founded in North Mesopotamia by Urschu civilization and is one of the oldest cities as well as the first cultural and scientific centers in the world. The fertile lands of Urfa-Harran have seen many prophets, saints and scientist throughout the history. 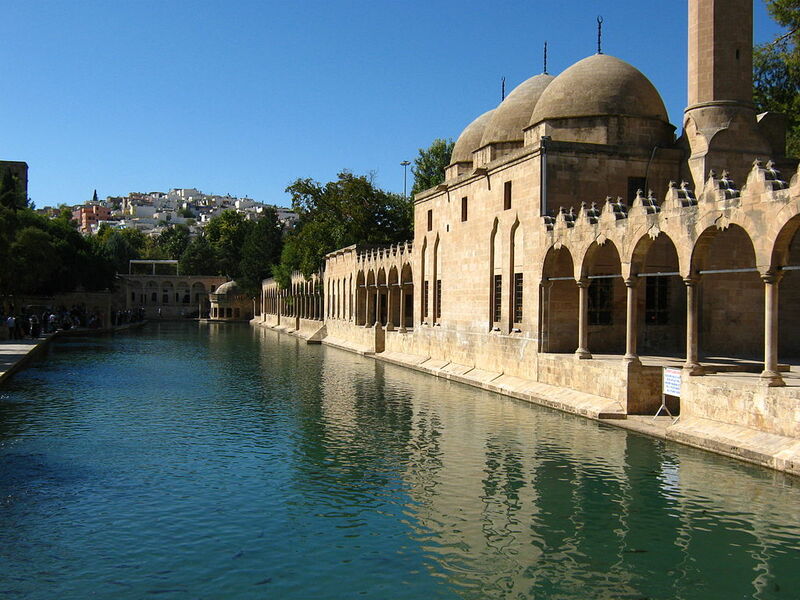 Urfa, sunk in water during the Noah Flood, was founded again by Assyrians. The rulers of the city in chronological order are Urchus, Sumerians, Assyrians, Hurris and Mitannians. 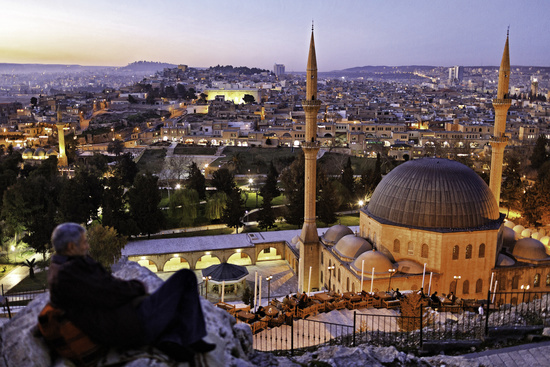 Some believe that the Prophet Abraham was born in a cave near where Mevlid Halil Mosque is now. The cave is visited as a holy place today. Down the hills is the Halil-ül Rahman Lake(Fish Lake) that has holy carps swimming in it. Next to the lake is the Rızvaniye Mosque. 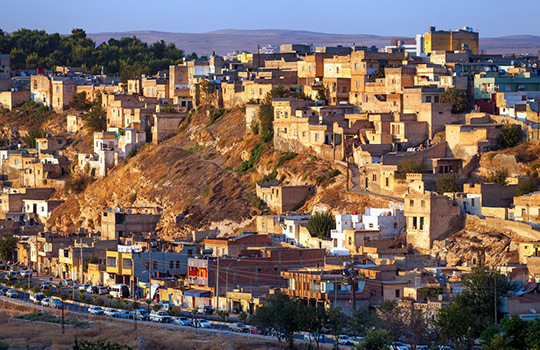 Harran believed to be an old city that is mentioned with the same name in the Bible, is known due to its beehive shaped typical houses rather than as the place Prophet Abraham had spent some of his life. The largest old Islam University, the city walls from the eighth century, four exit Gates and a castle are among the archaeological remains. Gobeklitepe, the world’s first temple, about 15 km away from the city of Sanliurfa. It is a pre-historic site. The date it was built makes Gobeklitepe unique in its class which is roughly twelve thousand years ago 10.000 BC. Göbeklitepe is a series of mainly circular and oval-shaped structures set on the top of a hill. Gobeklitepe consists of four arrangements of monolithic pillars linked together by segments of coarsely built dry stone walls to form a series of circular or oval structures. We can never know why it was built and why it was buried and abandoned. One thing is certain Gobeklitepe has many more fascinating secrets to reveal. 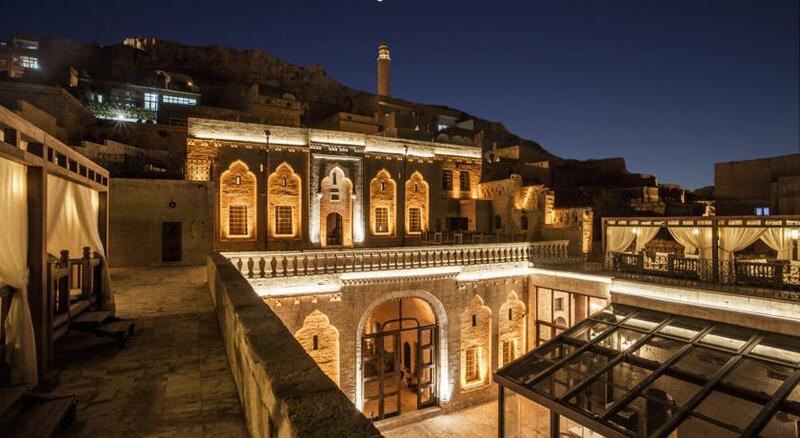 Mardin is attractive with its local architecture. 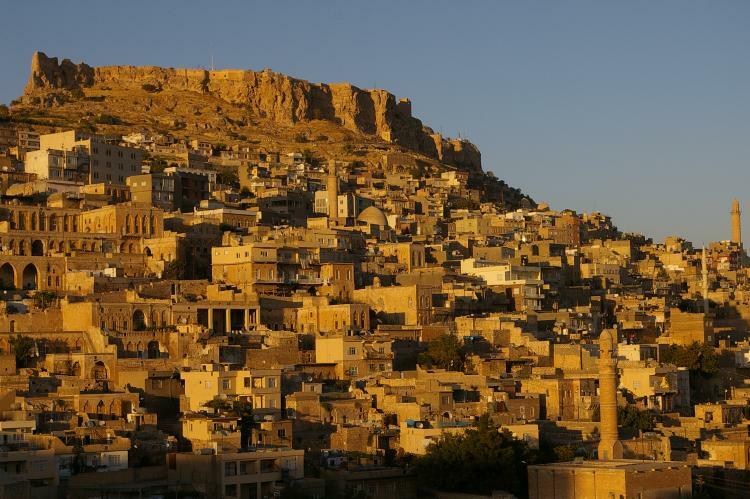 The houses of Mardin, made of golden Stones, look as if joined with the rocky hill where the city is founded on. A careful examination of the carved stones and the decorations of the public buildings, creates an impression that the city is a treasure in terms of architecture. Deyrulzaferan Süryani Monastery(Syrian Christians, once used to be a strong religious community), is at only 7 km east of Mardin. The Ulu Mosque(Ulu Cami) from the 13th century as one of the best examples ofArtikud architecture must be seen for its wonderful embossed designs and impressive gate, at Kızıltepe, near Mardin. Midyat is famous with its silver embroidery(called Telkari) and elegant historical houses. The Deyrelumur Süryani Monastery, at 18 km east of the city, is still active.